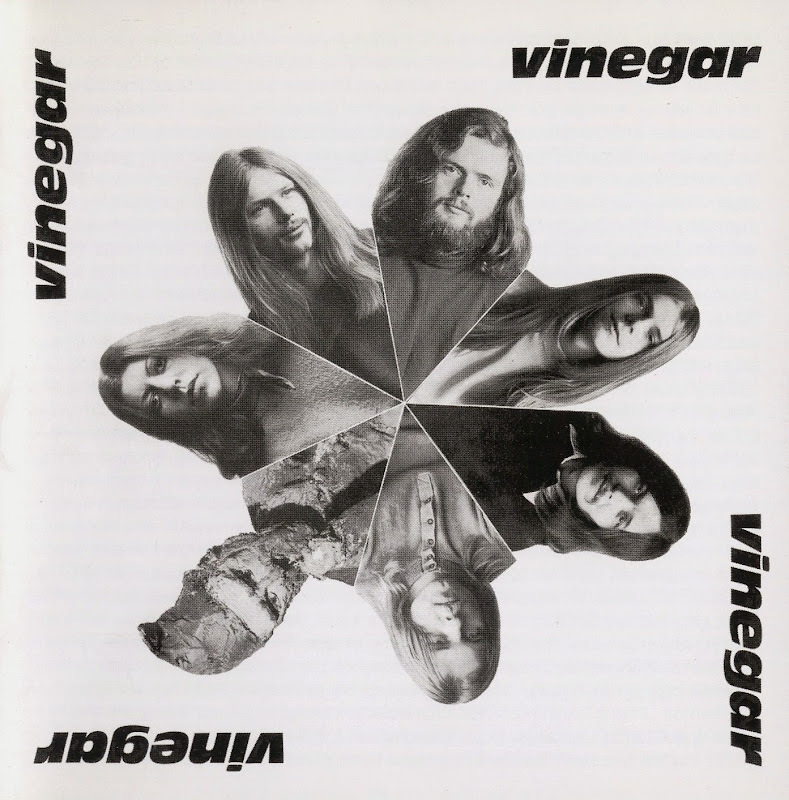 A legendary rarity of Krautrock for a long long time, Vinegar certainly rank as one of the finest lost bands of the Cologne scene. Their roots stemmed back to 1968, with the guitar/bass/drums trio of Jochen Biemann, Bernhard Liesegang and Wolfgang Grahn, later joined by Dagmar Dormagen (vocals, flute), and a year on Rolf Zwirner (guitar, violin) and Ralf Modrow (organ) fleshed out the sound. 1970 saw a few successful gigs, and winning third pace in a "battle of the bands" type competition festival. Independent record producer Werner Purrmann was quite impressed by them and financed the recording and production of their LP in January 1971. Vinegar's sole album was a magical affair, full of innovation, strong composition, with lengthy tracks that gave lots of room for the unexpected, musical complexities and instrumental solo breaks. Often compared to British bands like Tractor or Elias Hulk, one could quote T2, Pink Floyd, amongst dozens more. John Cipollina (Quicksilver) flair in some of the guitar, Simon House (with High Tide and Hawkwind) and Chris Karrer (of Amon Duul II) touches in the violin, as well. But, in all, they had a style of their own that was very Teutonic, and difficult to pin-down. Key factors are the violin, a wide palette of multi-guitars and subtle use of organ, with many nods to classical and jazzy themes. With only one proper song in the opening "Missi Solis" the largely instrumental concoction is punctuated by some offbeat punky vocals from Dagmar Dormagen at the opening of "Sawmill", and some wonderfully demented chanting from all in "Der Kaiser Auf Der Erbse". It's a shame that the band split shortly after recording the LP. Although it's much better for a band to leave behind a sole pearl than lots of average plastic! A few of the band members continued with other projects since, although nothing is documented. p.s. The rumour that Vinegar were part of the history of Electric Sandwich, seems to be untrue, unless there's an obscure connection from the 1960's.